We manufacture completely custom exterior and interior print umbrellas, in multiple styles, based on your original designs. The Gold Standard of custom umbrellas. 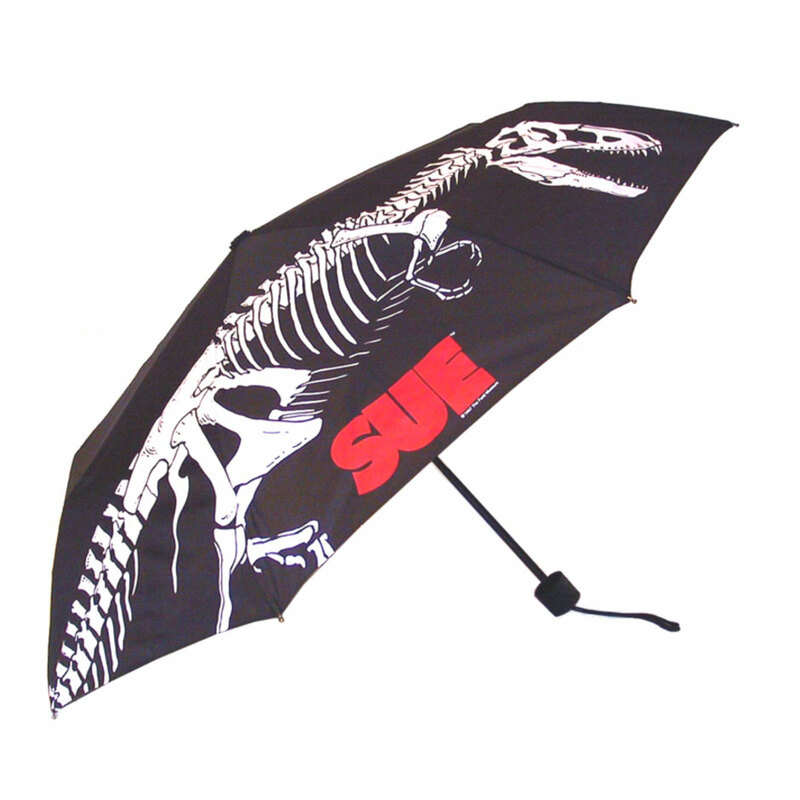 Need a logo umbrella in a hurry? 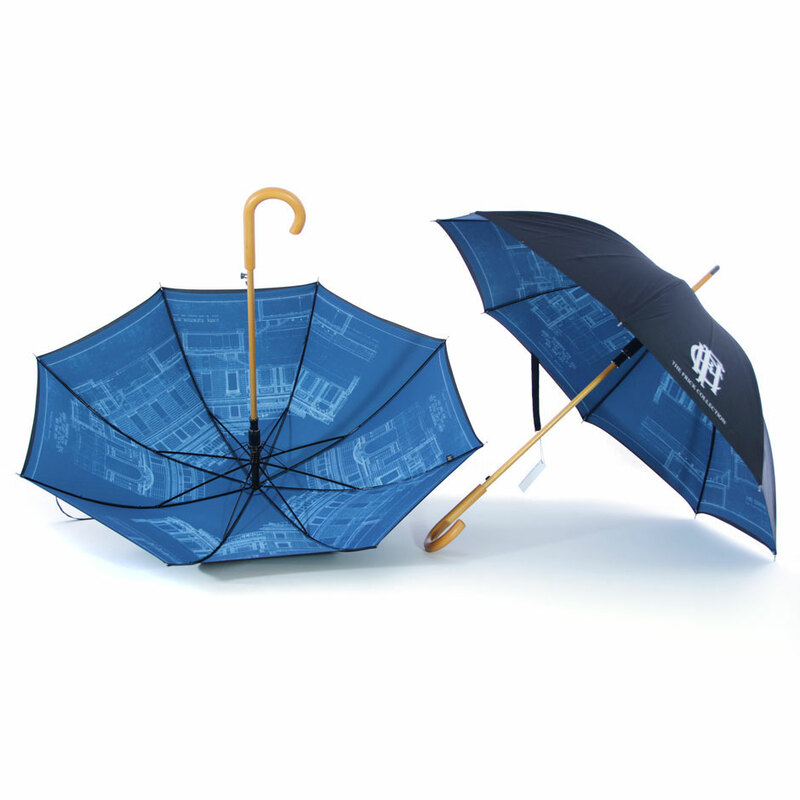 Our rush logo umbrellas, featuring 10-Day Turnaround, are a perfect solution. Use our Quick Print Designer to place your order. 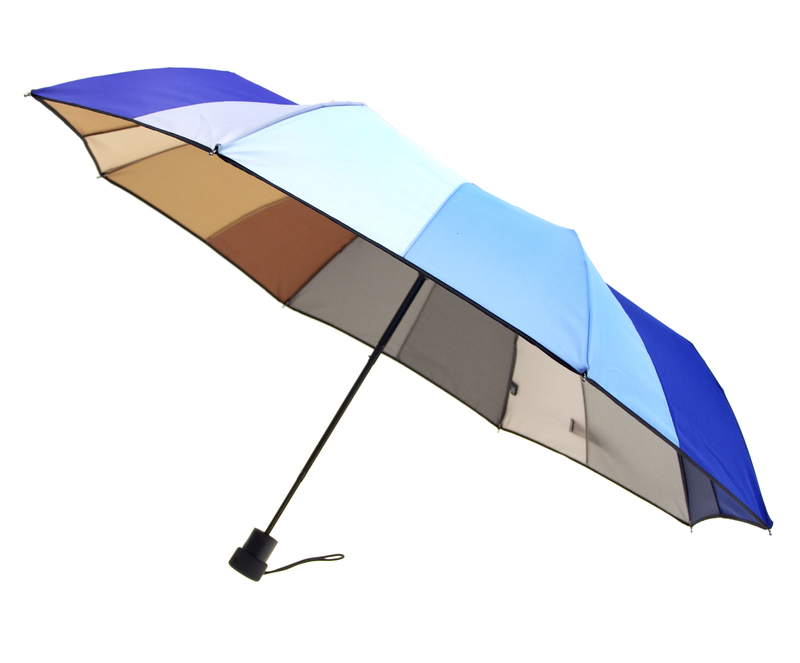 Your Ultimate Custom Umbrella Solution is Here! From fully custom photo print umbrellas, to on-demand fast print logo umbrellas - our experience and process ensures unmatched quality and affordability. Get our best-in-class custom umbrellas. 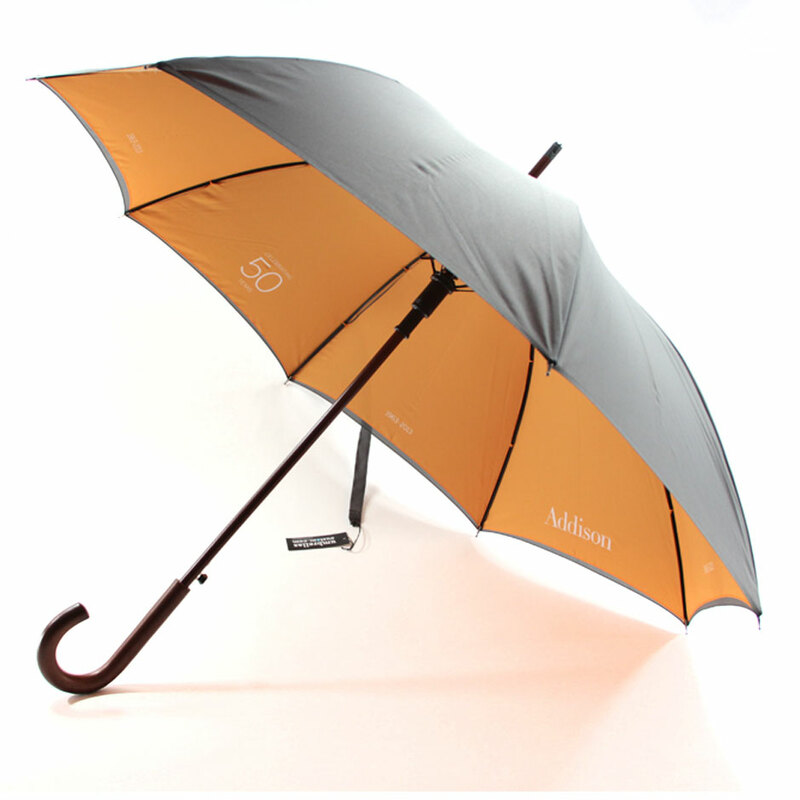 Create and order umbrellas in minutes. Select From Many Frame, Color and Logo Options! UmbrellasCustom dedicated over twenty years to perfecting the process of creating best-in-class custom umbrellas. We created a complete design and manufacturing system to guide the process of manufacturing custom umbrellas from start to finish. Whether you are a designer or not, we will work with you to create umbrellas that fit your specific needs. 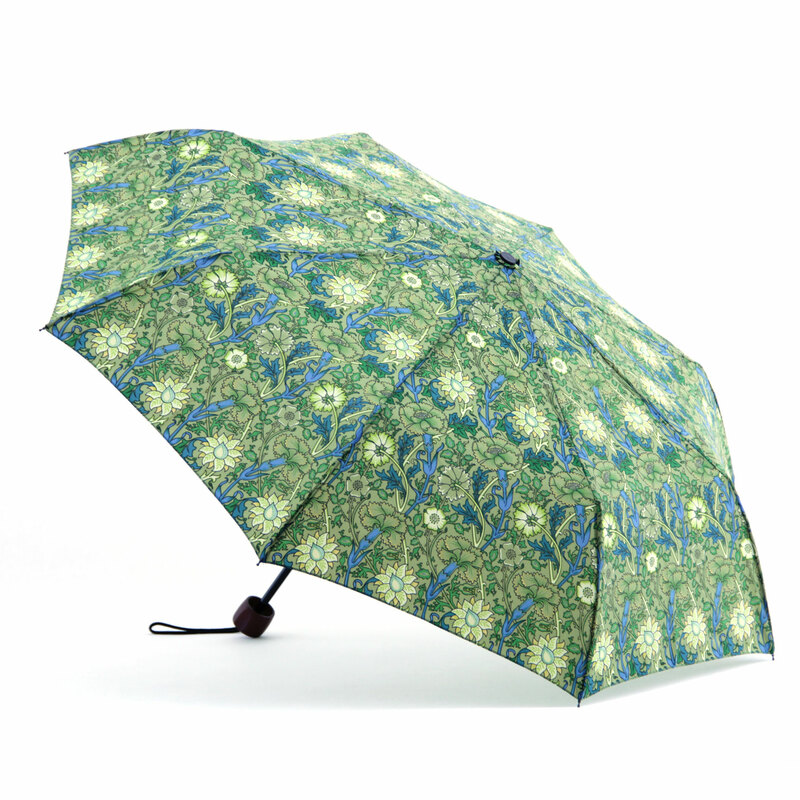 Umbrellas are complex to craft, involving a lot of attention to detail at every step. 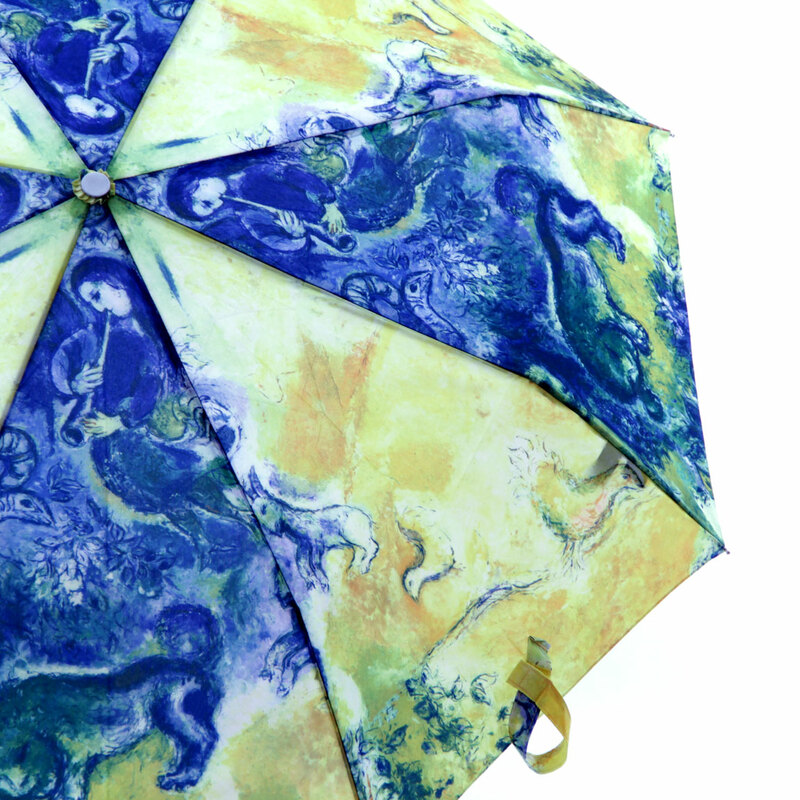 Our team pioneered techniques from printing to fabrication so your umbrellas will be beautiful and durable. We created our new DIY Design Tools so you can preview your custom logo umbrellas and place an order in three easy steps. 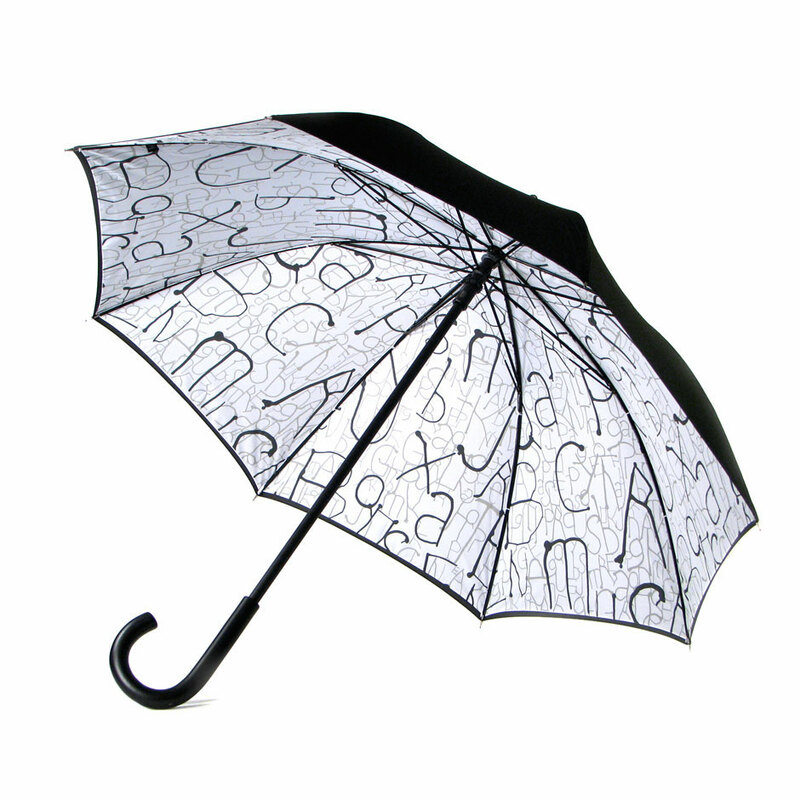 Design your own umbrella, or we can take care of the whole process for you. If your umbrella design calls for a custom manufactured solution, visit our Fully Custom Umbrellas section to see more ideas for inspiration. Call the umbrella experts to discuss your project: 212-477-9373 or email us to get started. 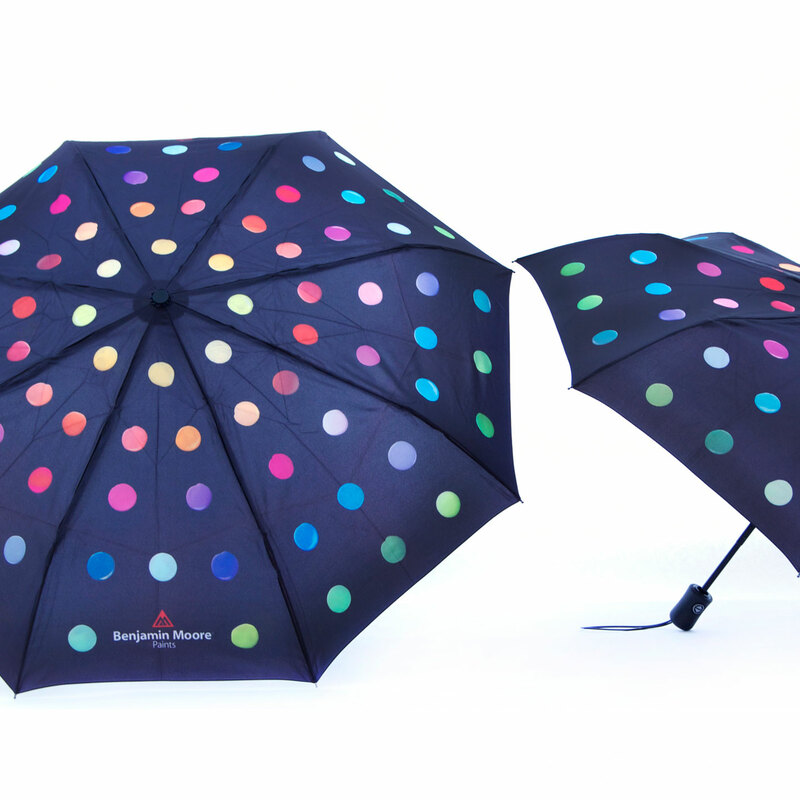 When you need a branded gift, quality corporate branded umbrellas are a perfect solution. 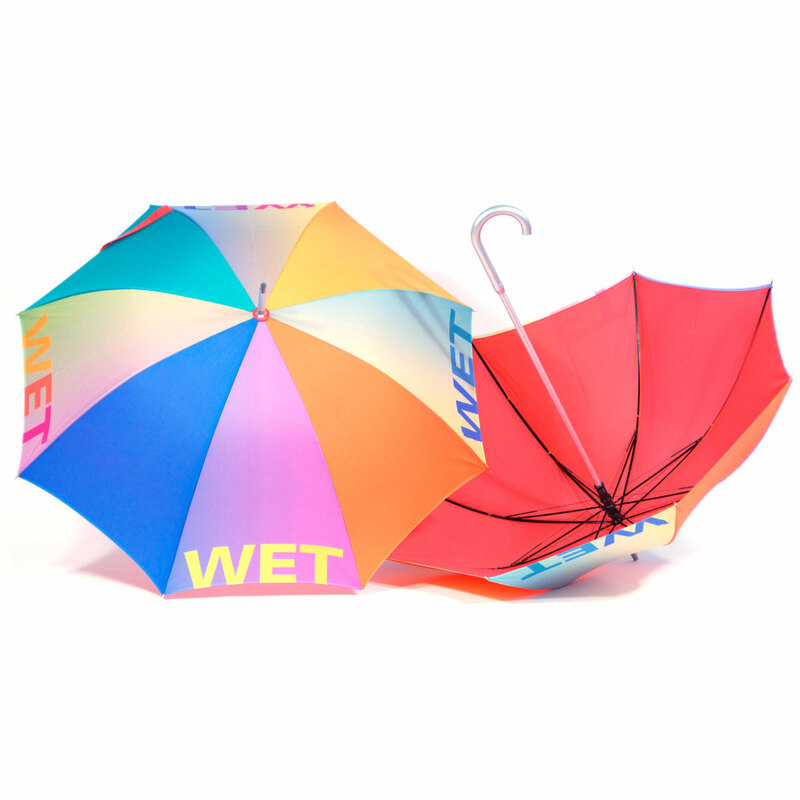 Our Quick Print service for logo umbrellas offers ten day service for branded umbrellas in a variety of styles and colors. 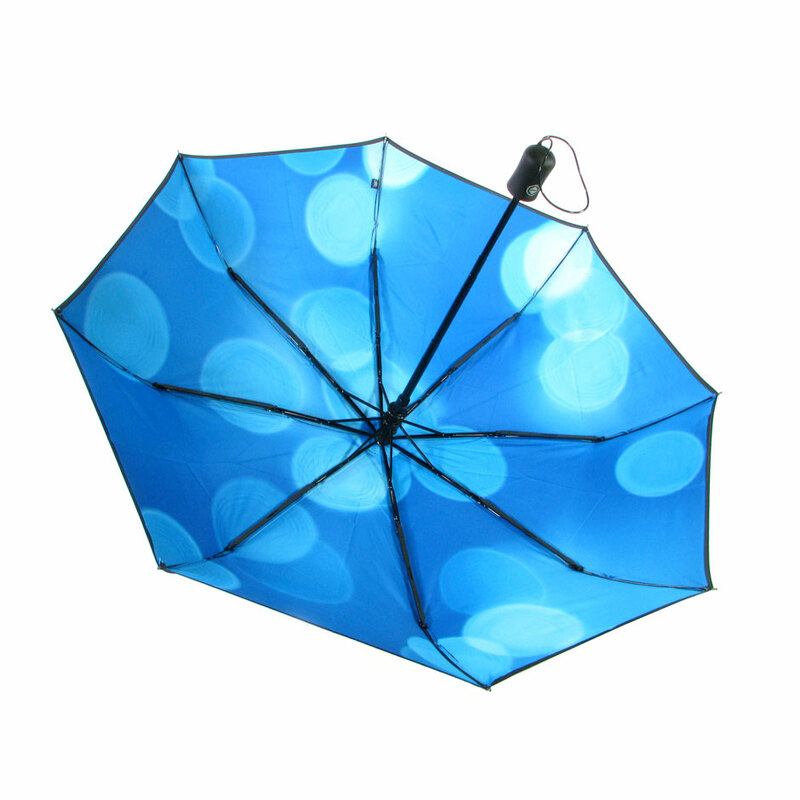 We supply branded umbrellas from oversize golf size umbrellas to compact styles. 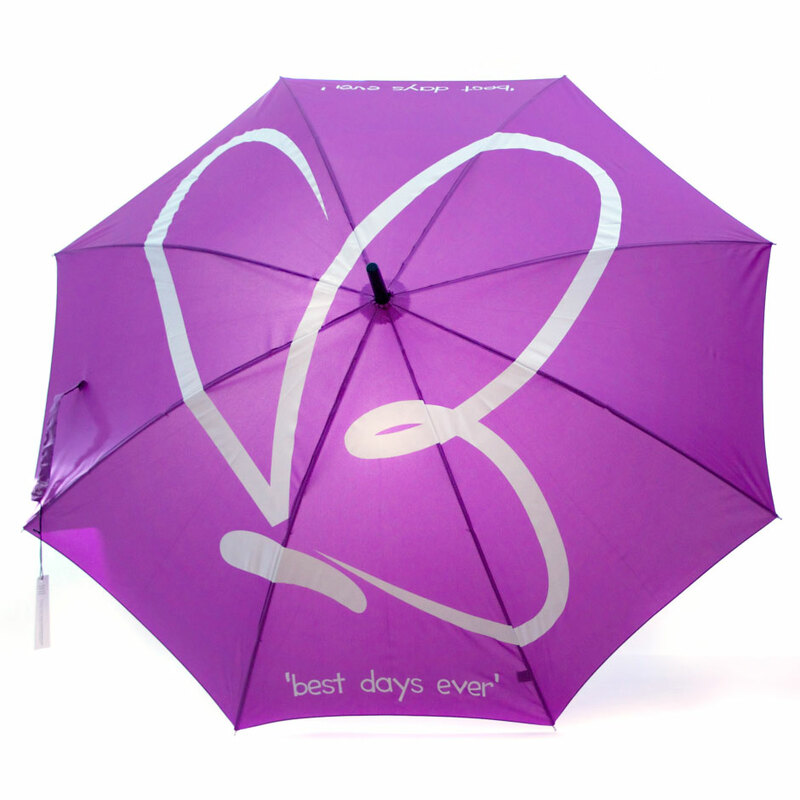 Our fast printing and rush printing services are a favorite for logo umbrellas. 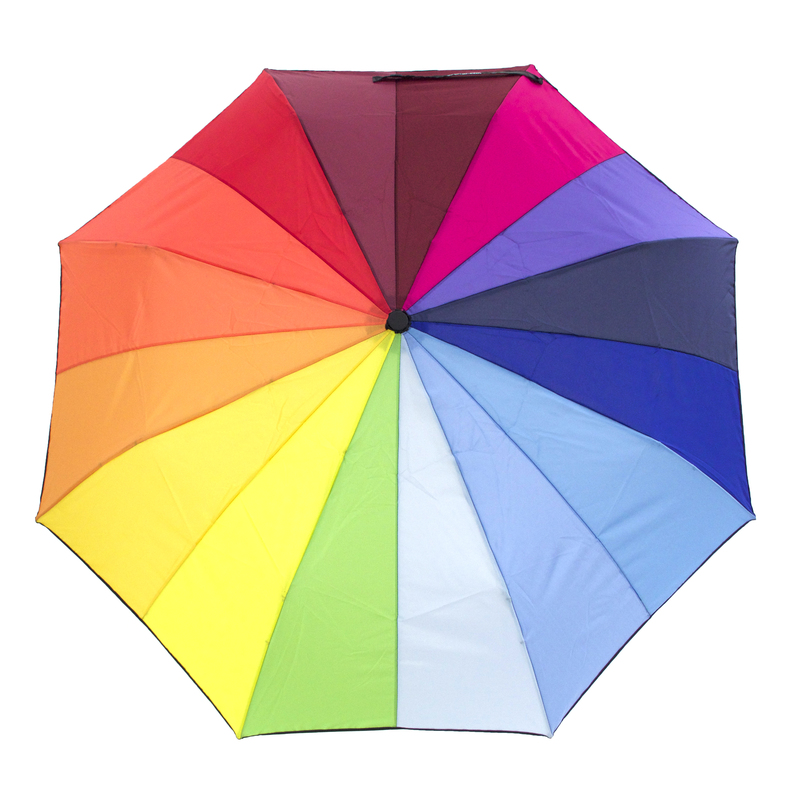 Check out our latest Umbrella Designer where you can pick your color and place your umbrella order in one place. 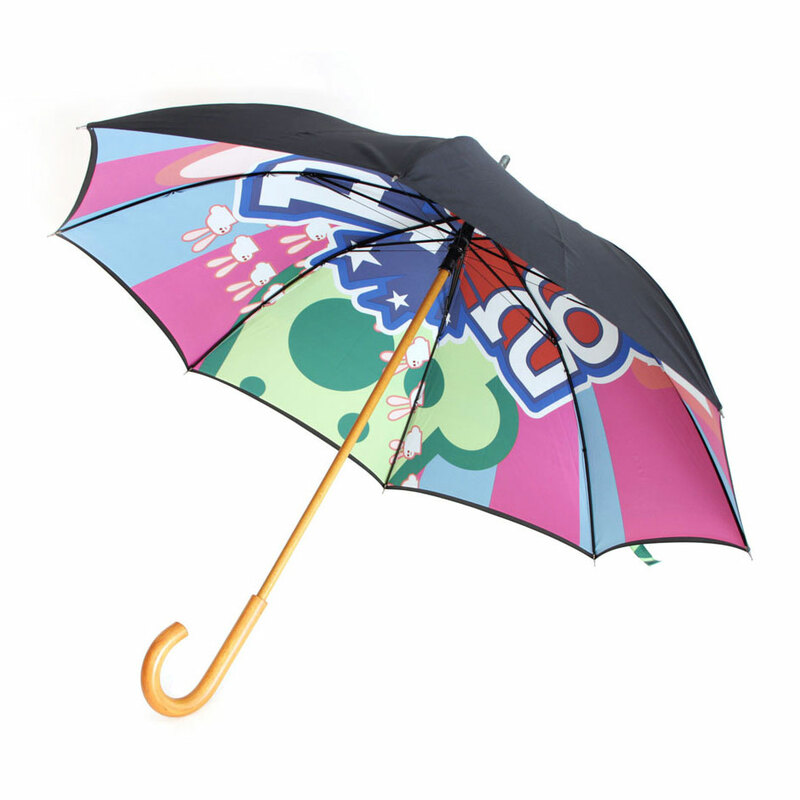 If you need printing on umbrellas in a hurry this is your best choice. We print promotional umbrellas that are perfect for trade shows, events, hotels and any business that wants to promote their offerings. 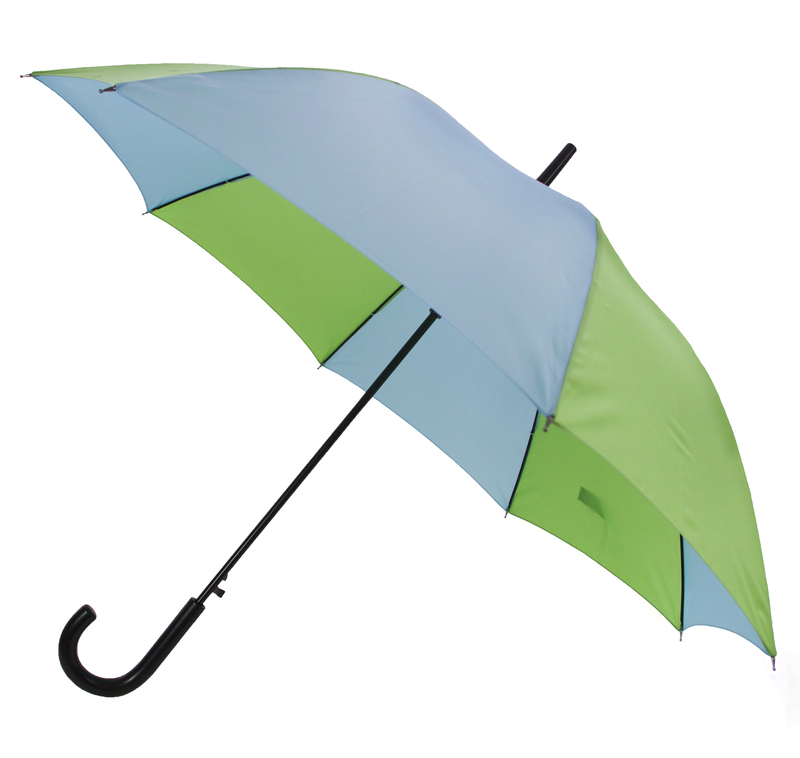 Umbrellas are a great promotional gift because they are used year round by both men and women. When you pick a quality umbrella your message will get out. Guaranteed. When you need more than a logo umbrella, or you want to print all over your umbrella or on the inside of your umbrella, you will want to choose our best-in-class Fully Custom Umbrellas. We design our fully custom umbrellas to include all of the details from the color of your fabric down to the custom handle. 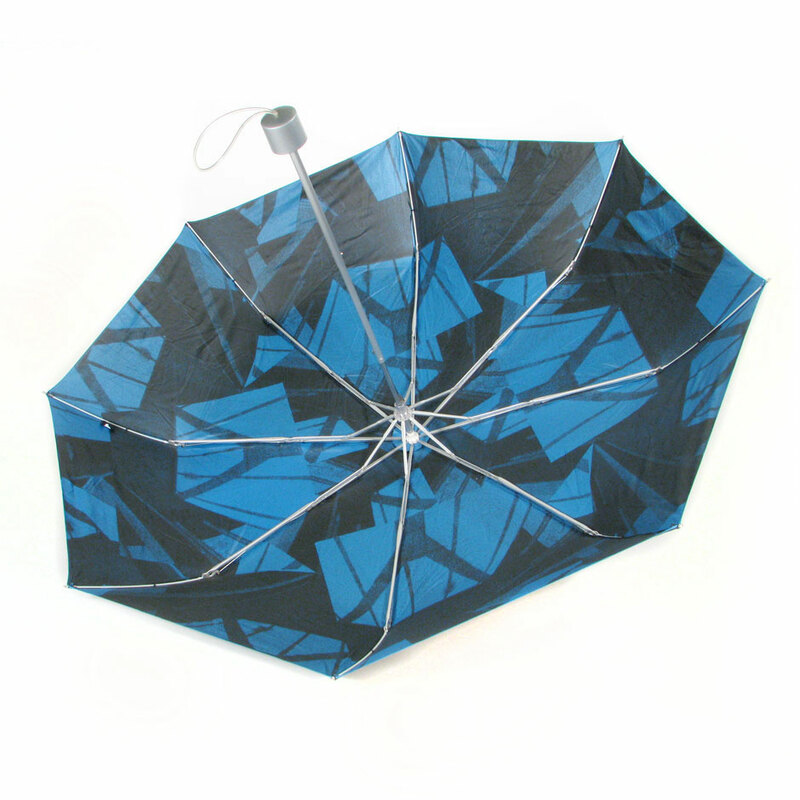 We offer custom umbrella manufacturing services to create just the unique umbrella you need to fit your brand or promotion. 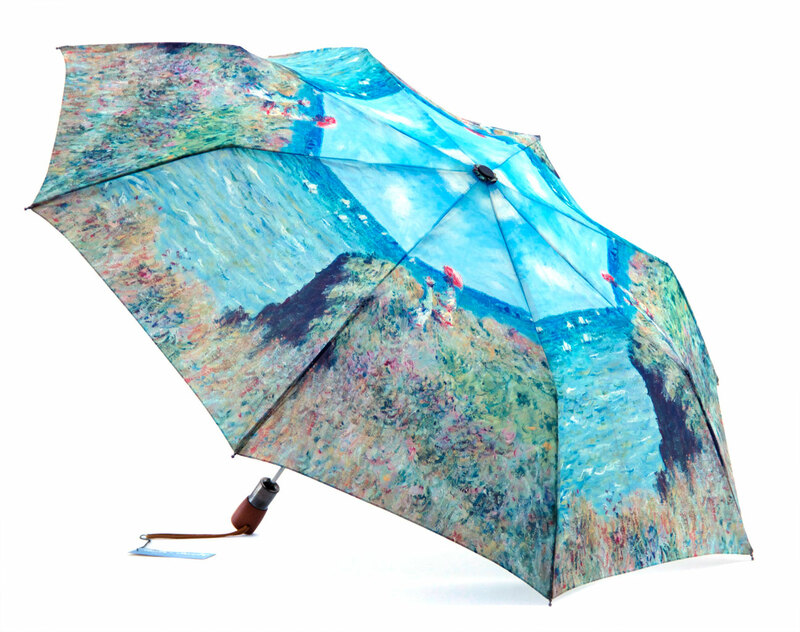 Big impact styles include the ability to print huge full color images and all over prints on your umbrellas. We create fully custom umbrellas on a range of our frame styles from compact auto open styles to our large wind-proof golf styles. Our frames are made in steel, fiberglass and aluminum according to the style, and once we speak with you about your project we will recommend the best option for your budget. 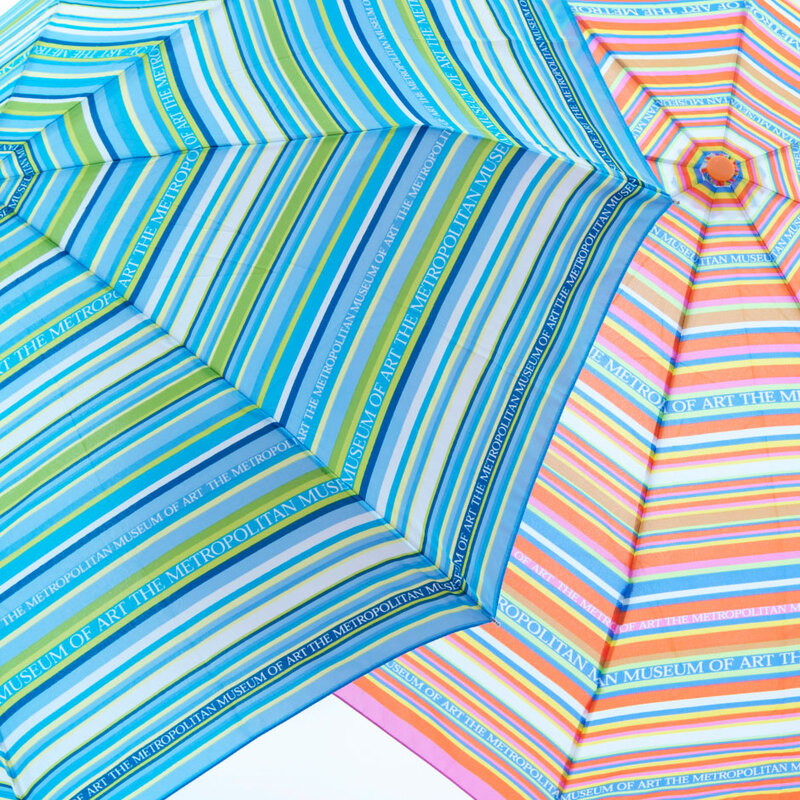 We can even create custom color fabrics for your umbrellas if you do not find the fabric you need in our fabric selector. At 1,200 units, there is no surcharge for custom color fabrics. Custom color will take a little longer than our stock colors, but if you need it we can do it for you. Learn more about our Fully Custom Umbrellas and see some frequently asked questions to get started.